Chandra Wilson, Daniel Dae Kim, America Ferrera Join Narrators for 2015 Candlelight Processional at Epcot! 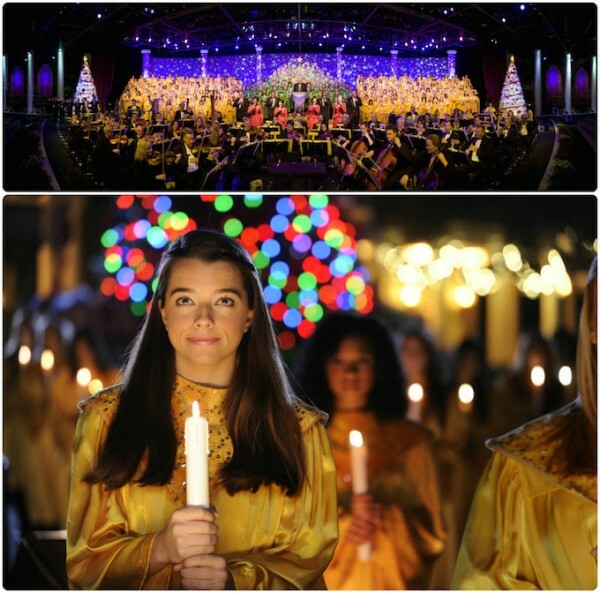 The rich sounds of a full orchestra and choir fill the America Gardens Theatre, and a special celebrity narrator takes the stage for a stirring retelling of the Christmas story as Candlelight Processional returns to Epcot® at the Walt Disney World® Resort Nov 27–Dec. 30, 2015. You can enjoy guaranteed seating for this holiday tradition, as well as a delicious meal at an Epcot restaurant with Candlelight Processional Dining Packages – starting $35 for lunch and $50 for dinner for adults (plus tax and gratuity). Packages include an appetizer, entrée, dessert and non-alcoholic beverage per person (or one full buffet where applicable). Availability is limited. Please note Park admission is required and is not included in the price of the dining package. Dining packages are not available on Dec. 6, 2015. Do you want to visit Walt Disney World this year so you can experience the Candlelight Processional? Click here to for a no-obligation quote! This entry was posted on October 19, 2015 at 11:15 am and is filed under Disney News, Epcot, Special Events, Walt Disney World. You can follow any responses to this entry through the RSS 2.0 feed. You can leave a response or trackback from your own site.